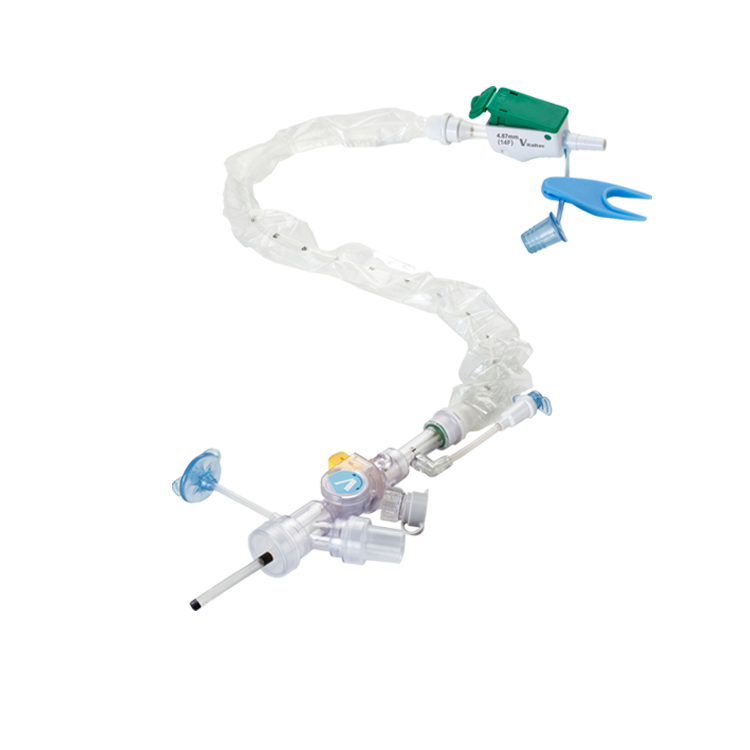 It features a compact dual-channel switching manifold to provide multi-functional access for suctioning and different airway procedures. 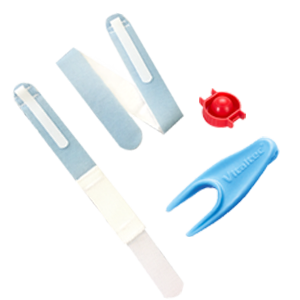 A unique adapter for replaceable suction catheters included. 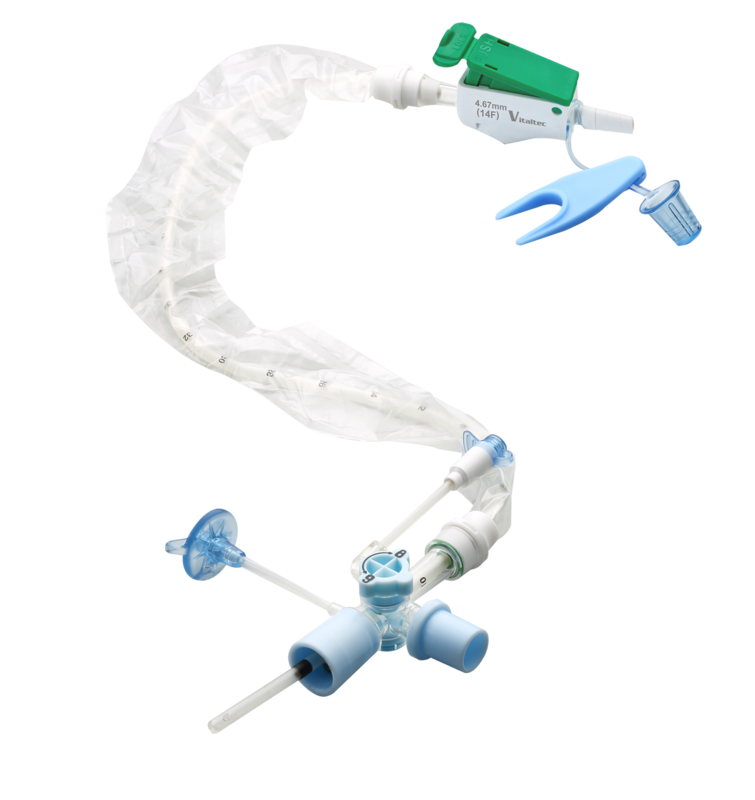 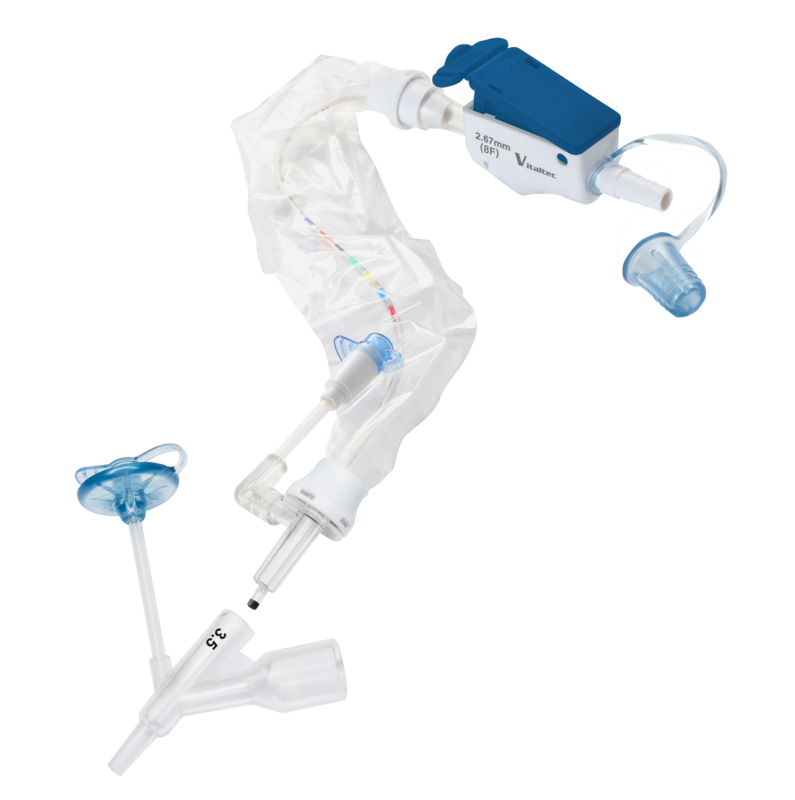 The new Vita-Cath™ Max series features a compact dual-channel switching manifold, allowing to operate suctioning and different airway procedures without disconnection from closed suction system. 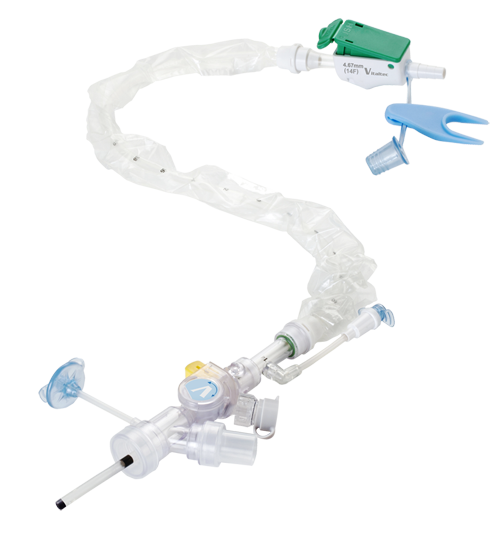 The unique adapter of this replaceable suction catheter allows to replace a catheter without opening the breathing circuit.